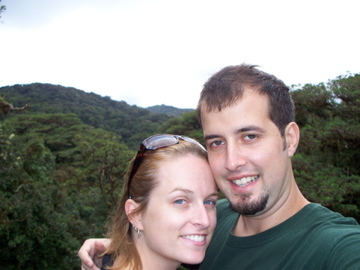 We went on an aerial tram tour the first day we arrived in Costa Rica. 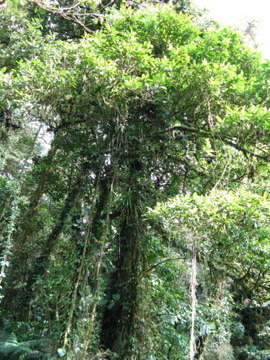 This eco-friendly company created a tram system that affects the rainforest as little as possible. 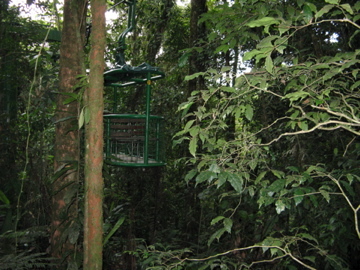 The ride took about 1.5 hours and let us see the rainforest from top to bottom. 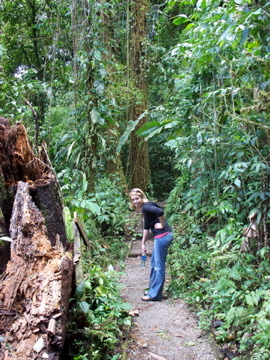 We knew that the rainforest was very dense, but it’s really impressive to see it in person! 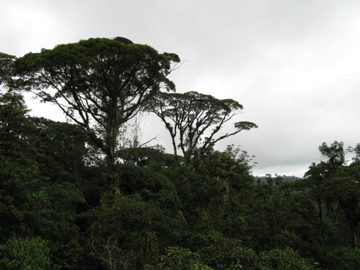 Our guide referred to these trees as “Broccoli Trees.” They grow to the top of the canopy and don’t have leaves until they are above the other trees. A shot from the aerial tram. 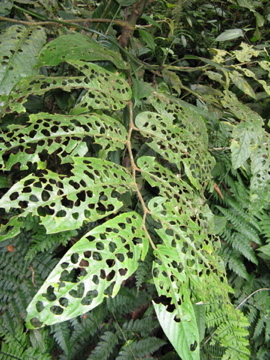 Watch out for those leaf cutter ants! 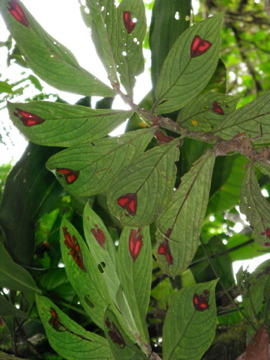 Something is growing everywhere in the rainforest. 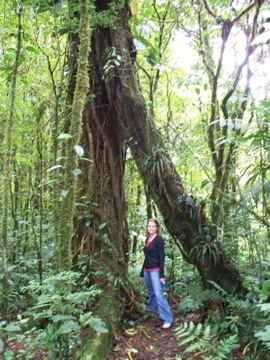 Most of the tree trunks have moss and other plants growing on them. 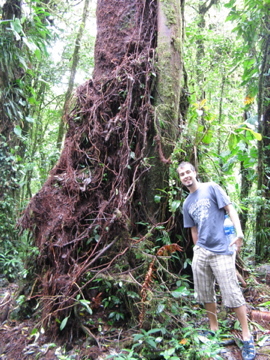 Lots of trees also have vines that grow all the way up their trunks. 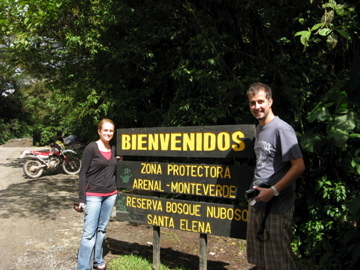 Me and Alex on a suspension bridge near Monteverde. 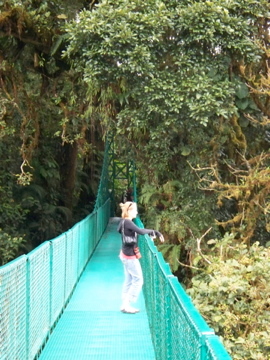 The hike we went on had 8 different suspension bridges with wooded paths in-between. 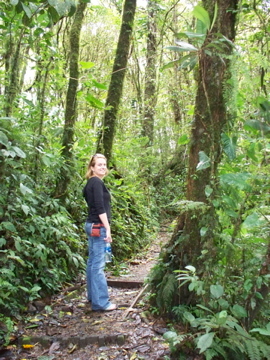 Alex and I did a three hour hike through this national park. 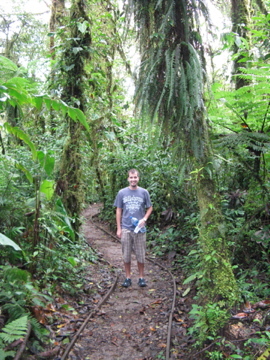 It was beautiful and much less crowded then some of the more touristy areas…like our own personal little piece of rainforest. 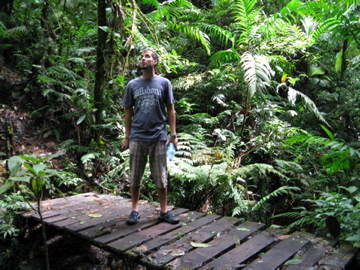 Alex on a bridge over a small stream. This hike was a little exhausting by the end…. 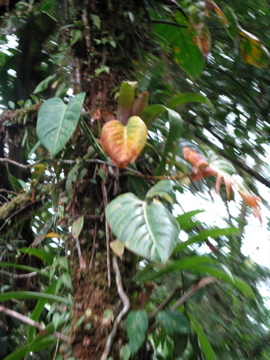 Posted in Costa Rica, Flora, TripsBookmark the permalink. 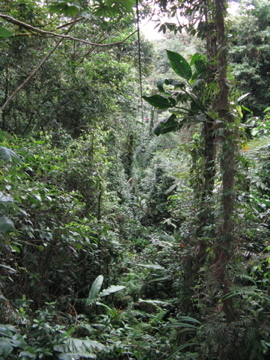 Calling it a jungle is appropriate. Looks like if left alone it would completely absorb all air, water and land. How incredible. Makes me appreciate what people have to do to carve out living space for themselves. Isn’t this planet an amazing home?